Captain America: Civil War is only weeks away now and the marketing is obviously ramping up quite a bit! Check out the latest TV spot above, which goes a bit into the general conflict of Civil War and even has a short but sweet bit which pits Captain America versus the Black Panther! Played by actor Chadwick Boseman, T’challa will get his very first live action appearance in the next Marvel movie. The character is one of the most badass characters in the Marvel universe, so you’ll better keep an eye on that guy, when you are sitting in the theatre. Yupp, this happened. Deadpool, the little “X-men” movie with the weird funny protagonist only a few people outside of geekdom knew about, is now not only the highest grossing R rated film ever, but also the highest grossing X-men movie, period, with a $749 million total gross to date! As much as I enjoyed the film, I did not see this happening at all, so… go, Deadpool! I am sure this will influence a lot of comic book movies going forward, especially Fox’ own X-franchise. If that means a Deadpool cameo in the next X-men or Wolverine films, I am all for that… if it means making those movies as whacky and weird as Deadpool I would be very worried. 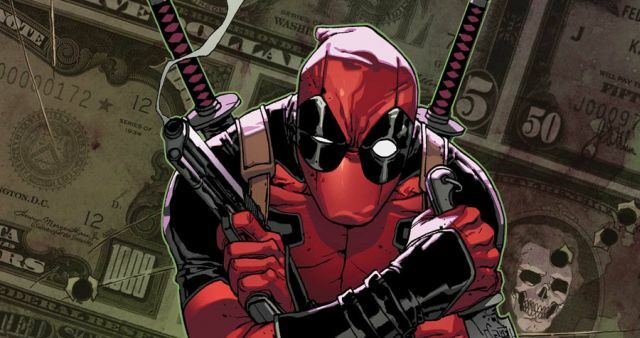 What worked for Deadpool worked for him only because it was true to the comic. We’ll see how that will turn out. Apart from that I am very happy for talented dudes Tim Miller and Ryan Reynolds! 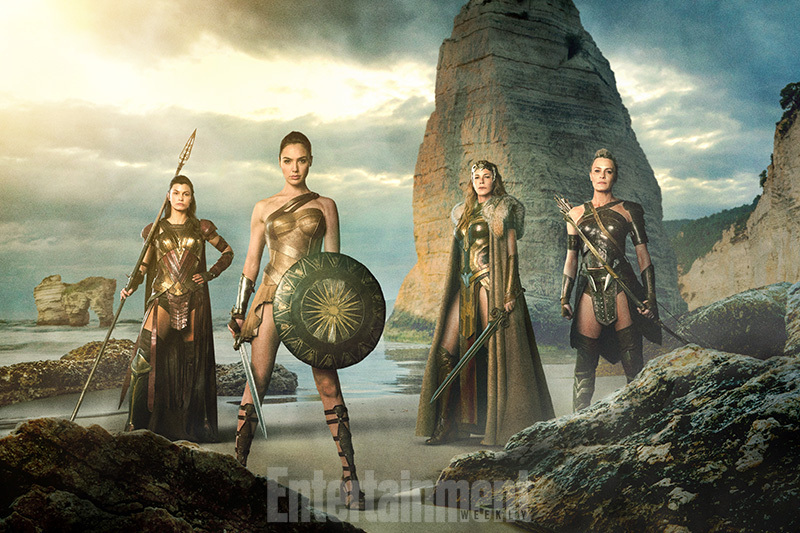 Entertainment Weekly released a new image from the upcoming Wonder Woman movie, which you can check out above! 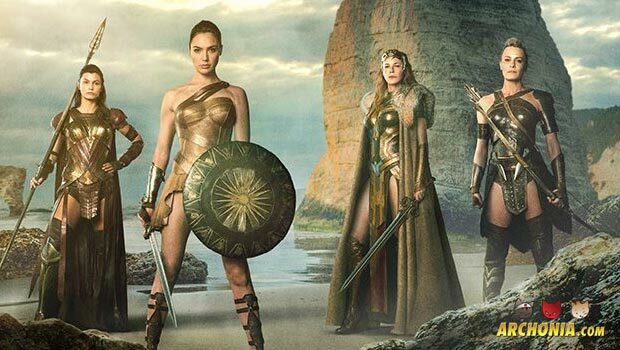 Accompanying her on this awesome picture, we see Queen Hippolyta (Gladiator’s Connie Nielsen), who is Diana’s mother, and General Antiope (Robin Wright) and Antiope’s lieutenant, Menalippe (Force Majeure’s Lisa Loven Kongsli). These three women are apparently the biggest influences in Diana’s life, until she discovers the world of man, from which the amazons haven’t been a part of for centuries. Hippolyta wants to shelter her daughter from that world, while Antiope wants to prepare her for it. Directed by Patty Jenkins (Monster), Wonder Woman will be an origin film that chronicles the journey of amazonian princess Diana, to become the greatest female warrior of all time. Talking about the unique looking armour of the amazonians, Jenkins revealed her thinking process:“To me, they shouldn’t be dressed in armor like men. It should be different. It should be authentic and real – and appealing to women. Wonder Woman has almost finished shooting, but we already got our first amazing look at Wonder Woman (Gal Gadot) in Batman V Superman! Her solo movie will debut June 23, 2017 and I cannot wait! 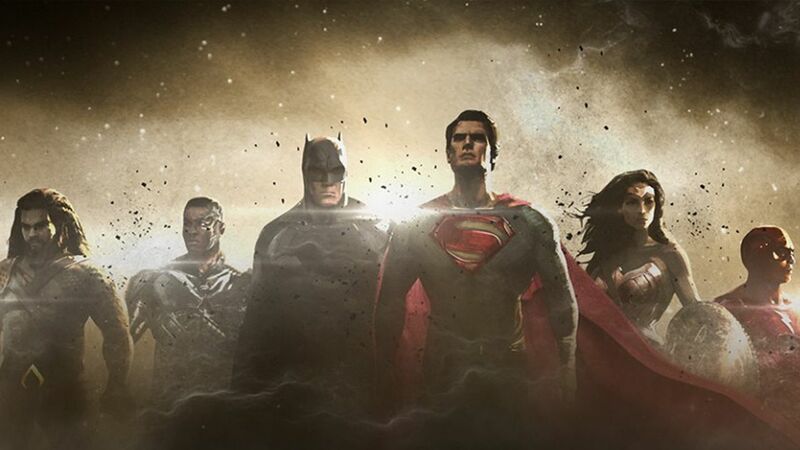 According to El Mayimbe’s new youtube show, Heroic Insider, the upcoming Justice League movie, which will start shooting on April 11th and feature Ben Affleck’s Batman, Jason Momoa’s Aquaman, Ezra Miller’s Flash and Gal Gadot’s Wonder Woman, will not directly dive into Darkseid, who has been heavily teased in Batman v Superman: Dawn of Justice. Instead, Mayimbe heard from his sources that the main antagonist role will be filled by the nation of Atlantis (Aquaman’s home) for most of the movie, probably spearheaded by Oceanmaster, as we have seen in JL: Throne of Atlantis! He also thinks that the bat-submarine might debut in JL. I could see them going that route, even if I kinda would like to get to Darkseid as fast as possible. To introduce Aquaman it makes a lot of sense, but also might take away playground from the solo Aquaman film. So far this is, of course, only a rumor, but it fits perfectly to recent comments from Chris Terrio, who is the screenwriter of JL part one, where he talked about looking into the mariana trench and the mythological atlantean/amazonian war. The first 12 minute sneak peek for the next DC animated movie, based on Alan Moore’s classic Batman graphic novel “The Killing Joke” has been made available online. You can check that out above! The film will feature the return of Mark Hamill and Kevin Conroy as the voices of Joker and Batman respectively and the film was green lighted for a R rating, so we might end up with a very cool, dark and disturbing piece of animated goodness soon!